1. What is GRADUAN ASPIRE 2011? GRADUAN ASPIRE 2011 is the name we give to the GRADUAN ASPIRE Career and Postgraduate Fair 2011. GRADUAN ASPIRE 2011 is just shorter and sounds more catchy we think. The fair is FREE and open to everyone, and walk-in visitors are welcomed. The fair will be held at Hall 5, Ground Floor, KL Convention Centre, from noon (12pm) to 6pm on 16 & 17 July (Saturday & Sunday). Hopefully you will visit the fair after the conference. Also appreciate if you spreading news of the fair to your friends. 2. What is ASPIRE 300? 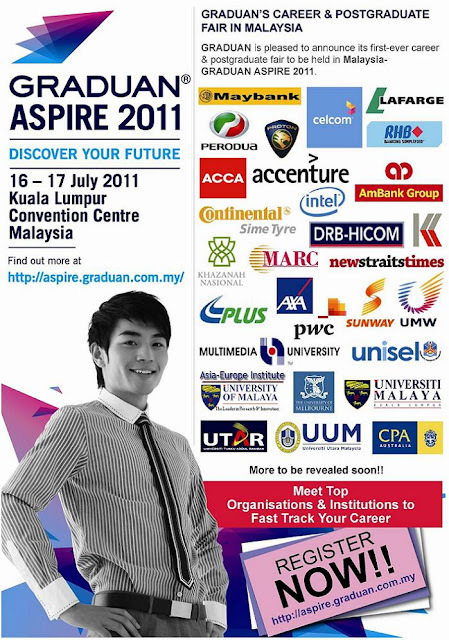 ASPIRE 300 is the catchy name they give to the ASPIRE 300 Conference which is held in conjunction with the GRADUAN ASPIRE Career and Postgraduate Fair 2011. ASPIRE 300 is a FREE, by-registration-only conference for just 300 fresh or soon-to-be graduates. The conference is interactive, and participants are encouraged to ask the speakers questions during the dialogue sessions and approach them during breaks. Participants book their seat by providing GRADUAN with a copy of their resume. They collect these resumes and then ensure it makes it into the hands of the Human Resource people of every exhibitor at GRADUAN ASPIRE 2011. The conference will be held at the Plenary Theatre, 3rd Floor, KL Convention Centre, from 9am to 12.30pm on 16 July (Saturday). Please be punctual for registration at 9am. The dress code for the conference is FORMAL. 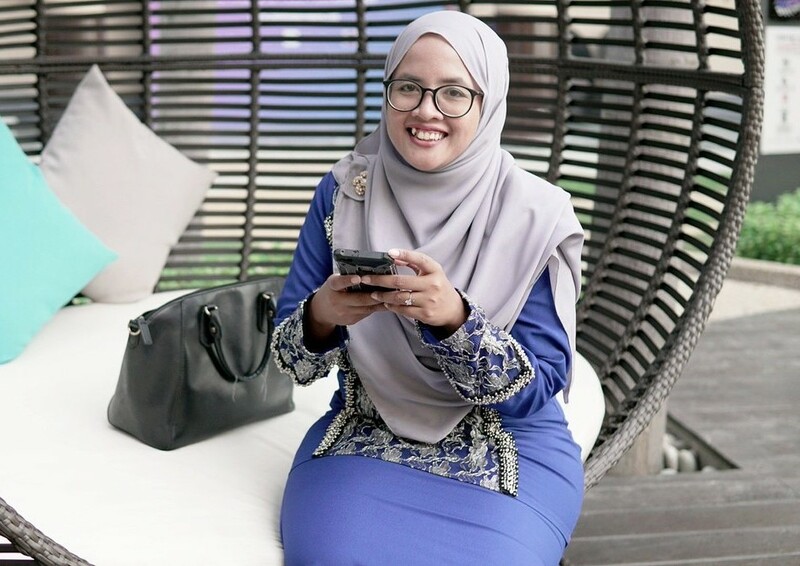 4. Who is my ASPIRE 300 contact person at GRADUAN? That would be Mr Muhd Husni Asyraf. You may call him at the GRADUAN office (03-4270 3270) or on his mobile (019-552 0750). Emails should be sent to [email protected], addressed to him. 5. Where is KL Convention Centre? KL Convention Centre, or KL Convec as it is sometimes called, is very near KLCC ie the Twin Towers. If you are in KLCC, on the Ground floor is an underground tunnel that connects KLCC to the KL Convec (good option if its raining outside). If you are in KLCC, from the Concourse you can walk outdoors to KL Convec. You will see the KLCC lake and gardens along the way. When you look at the map, notice that it looks like a bird? The venues for the conference and the fair are in the left ‘wing’, closer to KLCC and Mandarin Oriental.